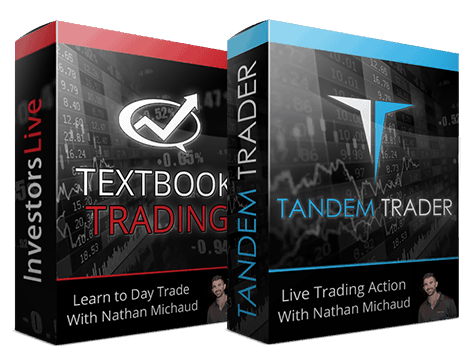 Pre & Post Market Video Recaps, Chat Logs and Dissecting the Trades! 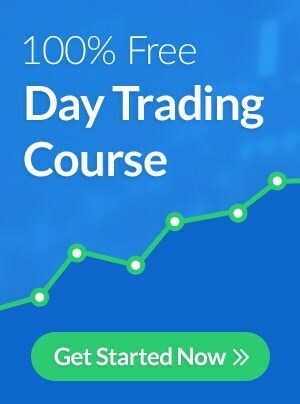 Hope everyone had a solid trading day today! I shared my pre market broadcast today to give you guys an idea of how we go about it in the Investors Underground community each morning. 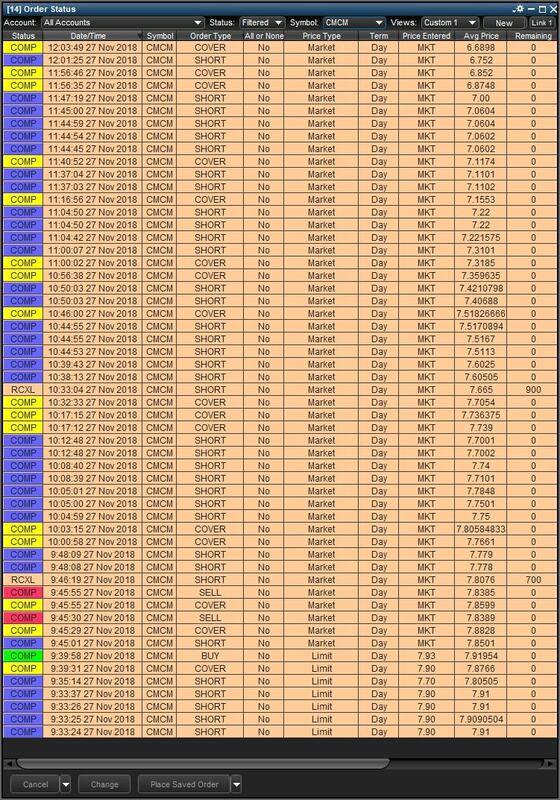 We've put the chat logs below that as well as the daily video recap lesson. 5. 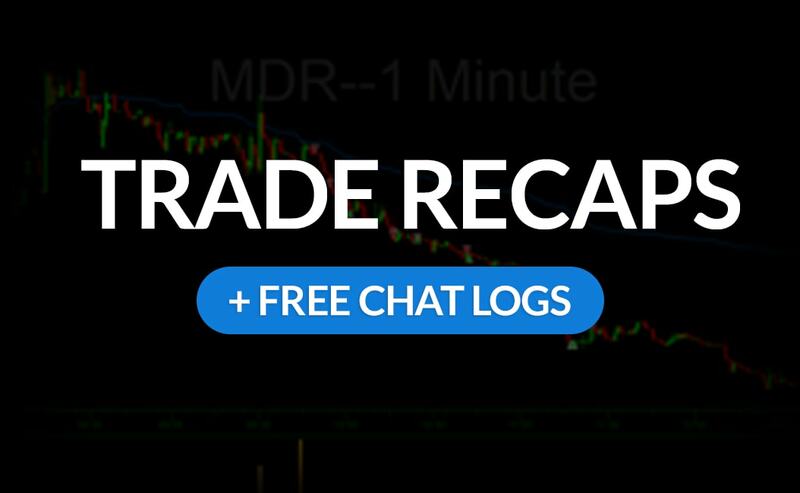 Go back through the chat logs (at he bottom of this post) in real time - check out the charts and see how we do it. It's an incredible community at Investors Underground! 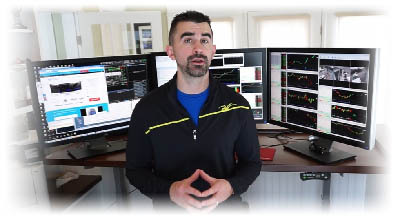 My goal on the pre market broadcast is to verbally cover my main two or three watches as well as secondary watches which I just want to be "familiar" with. Being familiar with a name allows you to react much quicker when and if it hits scan. 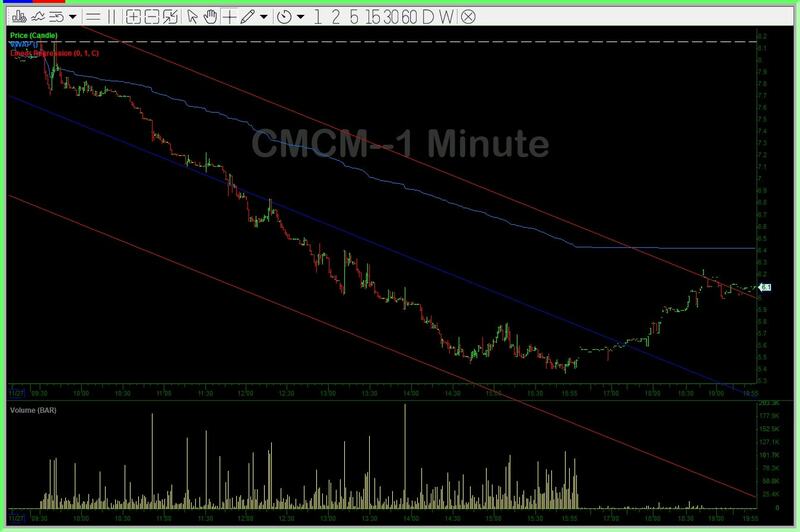 A perfect example of that today was CMCM - while it wasn't a MAIN watch off the open as soon as it did what I was prepared for I got short and let it work. 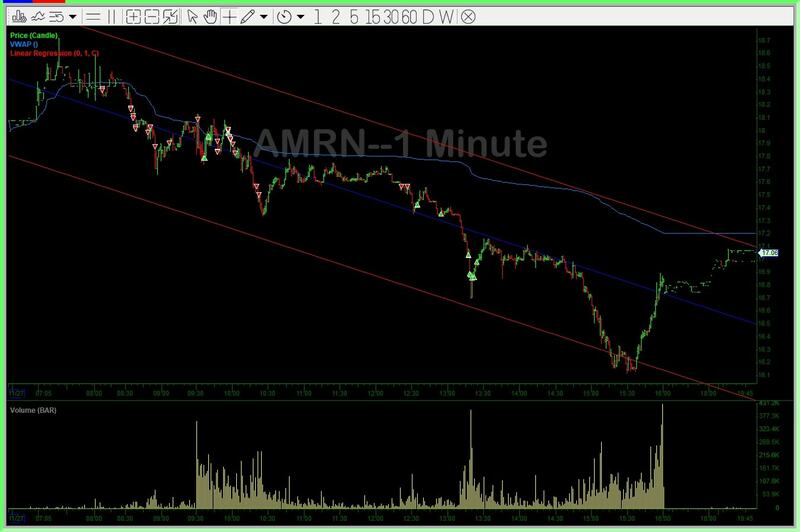 My goal on AMRN was to get short into any strength - I felt like it was going to stay heavy and weak today but would need some time to really unwind. I felt like it was a very retail crowded name and thus prayed that we got some upticks to get short 🙂 And, yes we did. 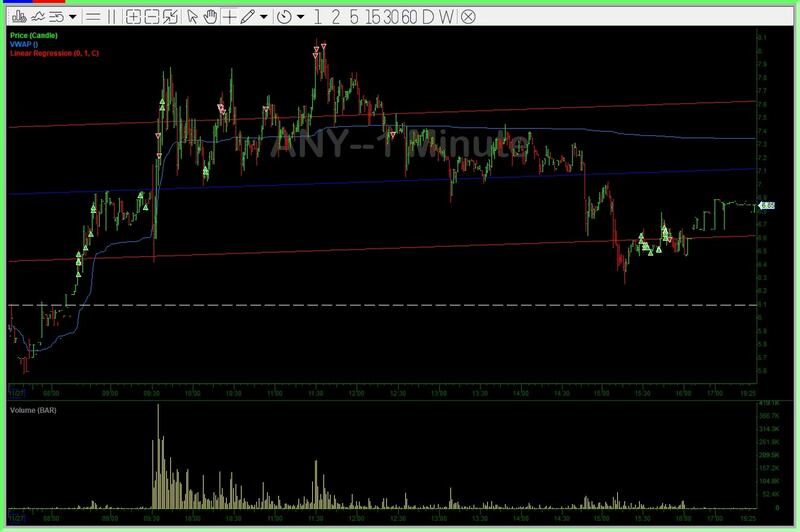 Goal was to short into the $18.20-18.40 range and look to scale if $17.70s stayed heavy and prepare for a major flush out if $17.20-17.50 got heavy a few times to $16.80. It couldn't have behaved better. Below is the trade I took in my CenterPoint account -- I also had a few more trades in Etrade later on anticipating that big unwind. I carried a short most of the day in Etrade while I traded around a core in/out pressing a bit and sizing down along the way. I would encourage you to review the chat logs and commentary by using Ctrl + F then type AMRN and read all comments. This was a great call in the room by T530 on Monday which the article posted the other day. 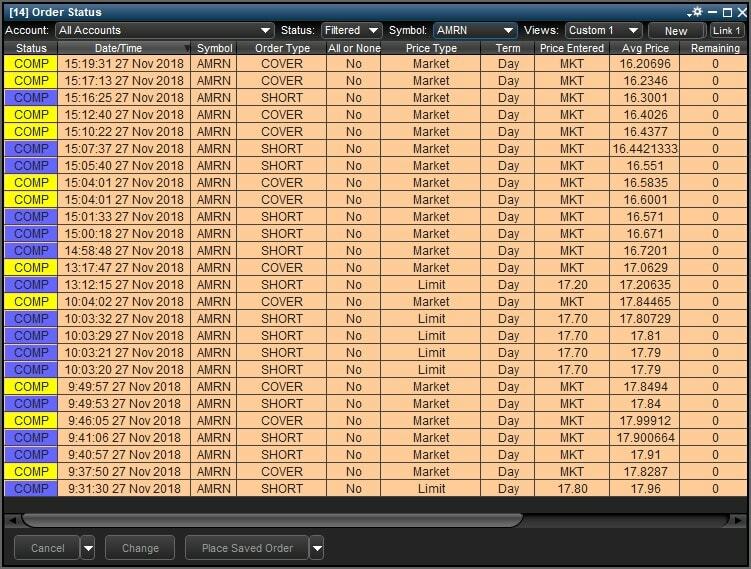 This is how I've traded it the past two days around my core from sub $3 with the $3.30-3.50 adds from last Tuesday pre Thanksgiving. Last but not least the name I really wanted to touch base on was ASNS. As you saw on Twitter I felt like someone was super trapped. In past years I know NOT TO SHORT but -- if I know NOT TO SHORT -- why am I not long?? So that's something I've been adding to my arsenal over the last year and a half. I would pay particular attention to the commentary surrounding it and yes once again I made it to $3 but never really sized up and left a great deal on the table. That's ok - welcome to trading. 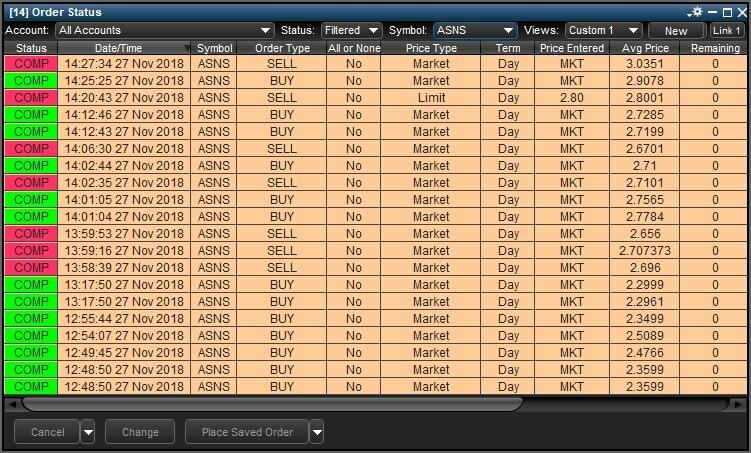 $ASNS trading like someone is bent. Wish I got there earlier, never did. $ASNS beautifully done. They told you the story EARLY. You either ignored it -- or took part.